Rural Electrification is simultaneously: harsh, delicate, playful, and apocalyptic. 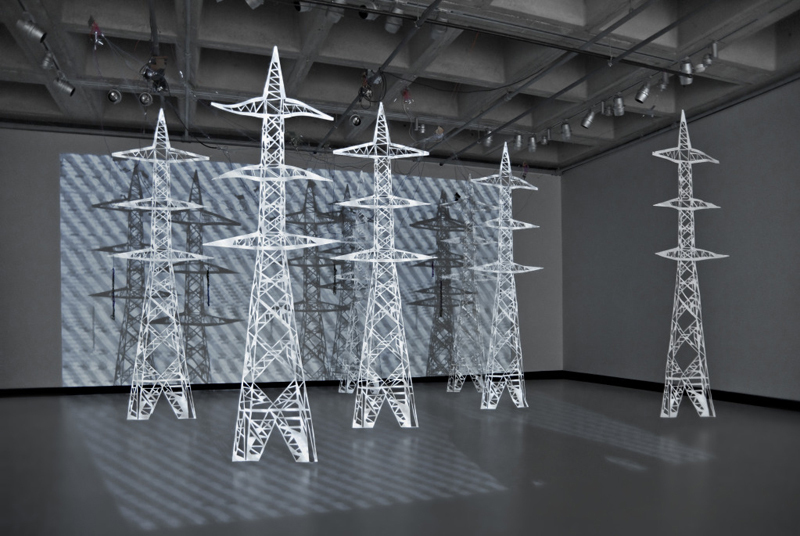 The installation includes ten feet tall electrical towers shimmering in a field of chaotic black and white video patterns. The video, towers, and their shadows, create an apparitional landscape. The surreal experience is enhanced by the fact that the towers are made of paper and hovering slightly above the floor. 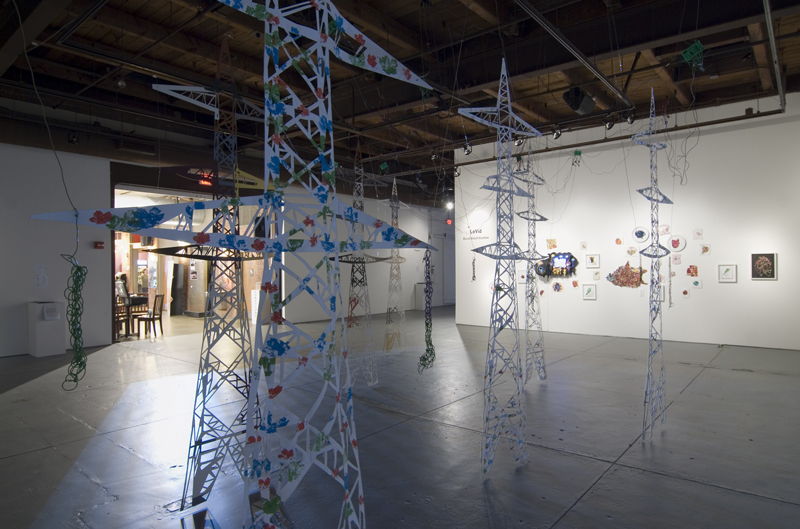 Handmade electronics, including conductive wires and circuit boards, are suspended between the paper towers. The electronic components are LoVid’s handmade synthesizer, which is creating the live video component of the installation. The video landscape can be experienced viscerally as viewers immerse themselves in the patterns, light, and textures. 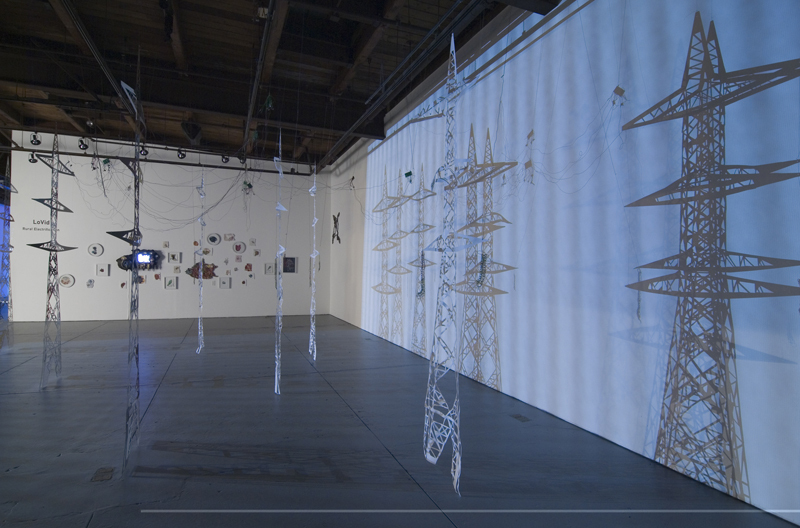 The installation celebrates technology and electronics. 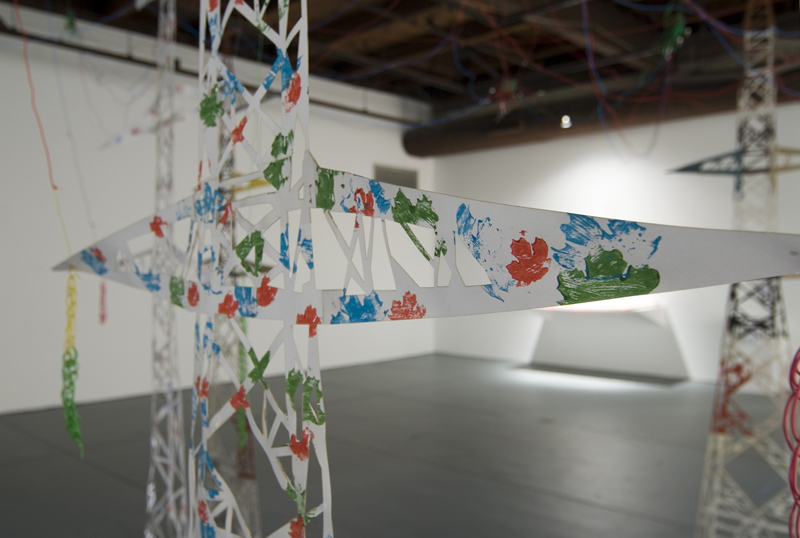 However, it concurrently invites an alternative perspective as a commentary on technological progress in light of current conflicts between nature and industry.